For those times when visiting an urgent care center becomes necessary, finding a walk-in clinic that will cater to you and your family’s medical needs isn’t always an easy task. That’s where Affinity Urgent Care comes in. Designed to fill in the gap between pricey emergency-room visits and months-long primary physician wait lists, our family medical clinics are one-stop shops for comprehensive diagnostics and medical treatment with same-day services that won’t break the bank. 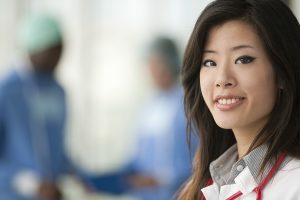 We have four modern after-hours clinics located conveniently throughout Southwest Texas in Alvin, Galveston, Texas City, and La Marque, so receiving the individualized and prompt medical attention you need is as simple as walking through the doors of our urgent care center that is nearest to you. At Affinity Urgent Care, we go above and beyond the traditional walk-in urgent care center by offering a broad spectrum of healthcare services for adults and children of all ages. Our dedicated team of medical professionals can meet a range of family and pediatric urgent care needs, including the immediate treatment of non-life-threatening illnesses and injuries, minor surgical procedures, and on-site diagnostic testing and X-ray imaging. Plus, we are able to provide comprehensive family practice services, such as high blood pressure management, adult preventive care and routine immunizations, and school and sports physicals to help you feel your best in every way. Your time is precious, so why would you waste it going from doctor to doctor for each medical service you need? At Affinity Urgent Care, our approach to family and pediatric urgent care encompasses much more than the services offered by the typical walk-in clinic. In addition to comprehensive treatment for non-emergency illnesses and ailments, our extensively trained medical team can meet a variety of other healthcare needs, making it easy for you to get the care you need at a time that works best for you. 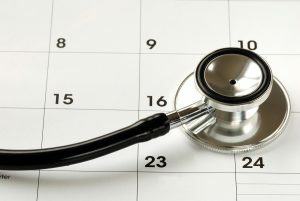 You can swing by our walk-in clinic during your lunch break, on the weekend, or whenever is most convenient for you to receive a same-day physical examination, a well-woman exam, STD or other diagnostic testing, or even a customized weight loss plan formulated by our health professionals. And, if you are looking for occupational medicine services to support your company, Affinity Urgent Care can help you take care of business. Whether you need drug screening, immediate treatment for an on-the-job injury, or work-related physicals for your employees, we are here to help you meet Occupational Safety & Health Administration (OSHA) requirements and boost your employees’ overall health and safety. Save yourself some time, money, and sanity by foregoing the hectic ER visits or the waiting list to see your primary doctor in the Houston/Galveston, TX, area, and instead let Affinity Urgent Care meet all of your family’s medical needs today. 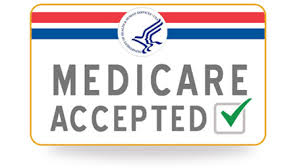 We never require an appointment to be seen and are open Monday through Friday from 8:00 a.m. to 8 p.m. and Saturday and Sunday from 9:00 a.m. to 5:00 p.m. Plus, we take all major credit cards, accept most major insurances (including Medicare, Medicaid, and TRICARE), and offer one of the most affordable self-pay rates in the area. Contact us today to schedule a same-day appointment at any of our urgent care centers, or simply stop by the clinic nearest to you for quick and convenient medical care when you need it most. To further minimize your time spent in our waiting room, consider using our Clockwise software to check in prior to your arrival.